Pioneers will be a turn-based game with RPG elements. It's a game where you start by assembling your exploration party with men with different abilities and skills. Every man counts and every skill counts. You need someone who's good with weapons and hunting, someone who is good with carpentry, someone who can draw maps, someone who could easily learn native languages and so on. Once that's done, you put them on a ship and head for some unknown land. 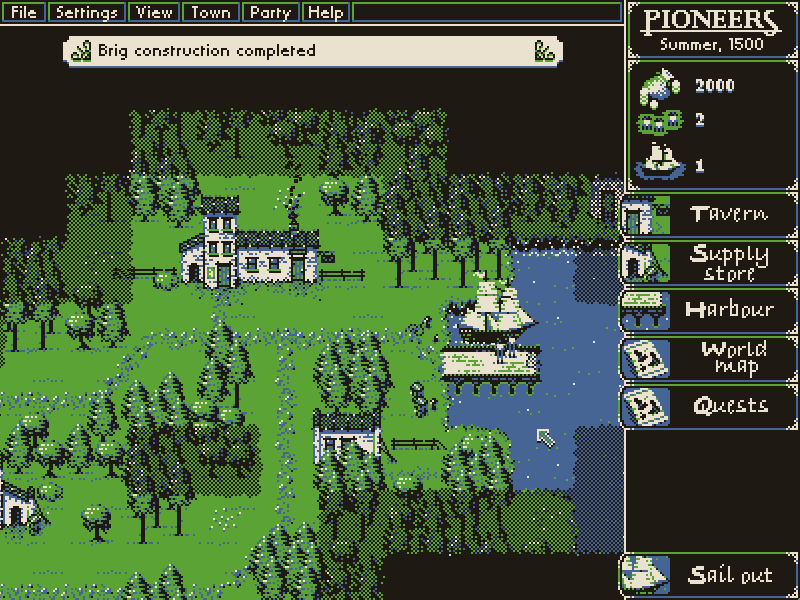 In this version you start out the game in a town where you can hire pioneers, build ships and buy equipment. You then get the first quest to complete.